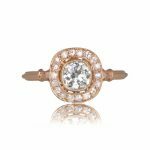 A delicate and fine engagement ring that features a very lively 1.29 carat antique old mine cut diamond, K color, and VS2 clarity. 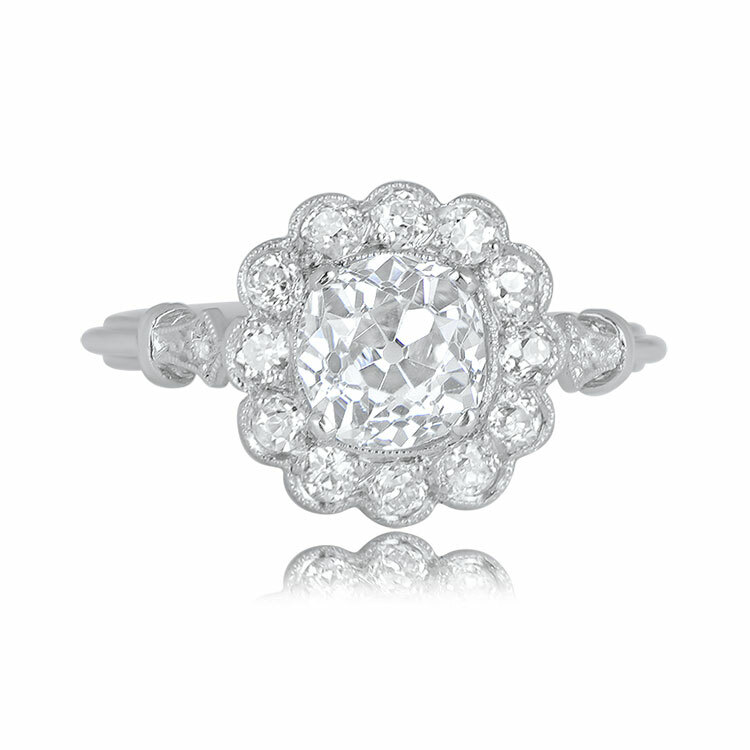 Surrounding the center stone is a halo cluster of old cut diamonds, which in turn is adorned at its border by fine milgrain. The sides display arch-like openwork. 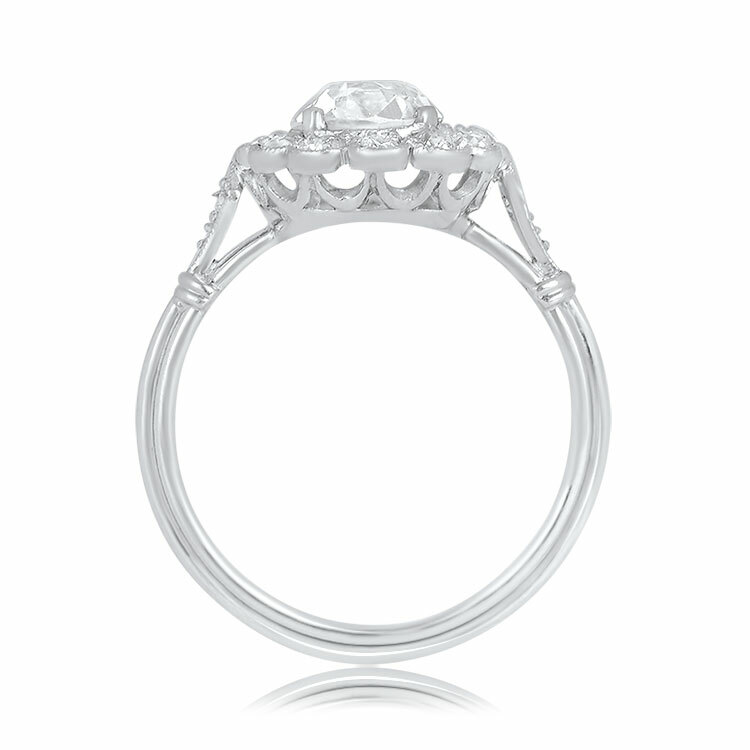 The approximate measurements of the center diamond is 6.71mm x 7.10mm x 4.4mm. 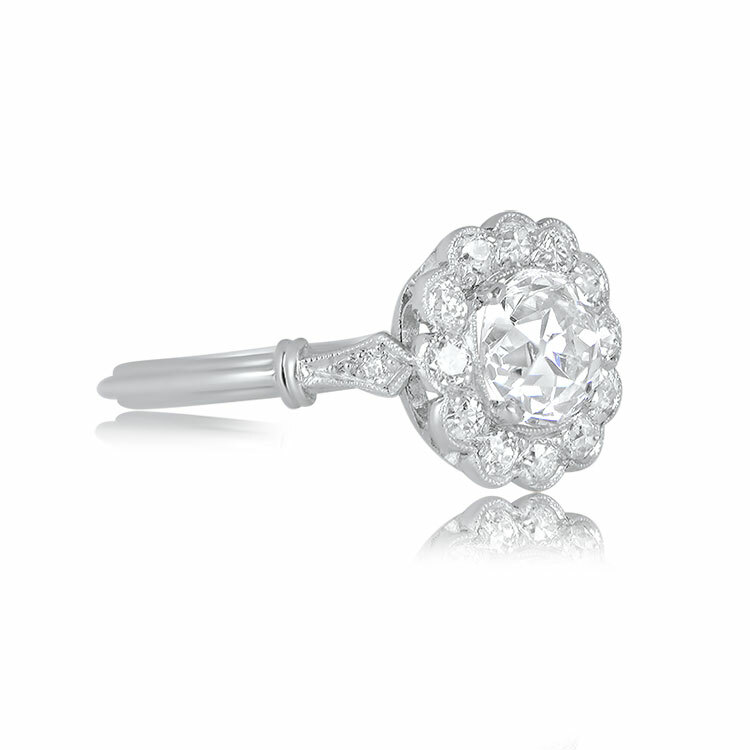 The approximate measurements with the cluster of diamonds is 11.61mm x 11.85mm. 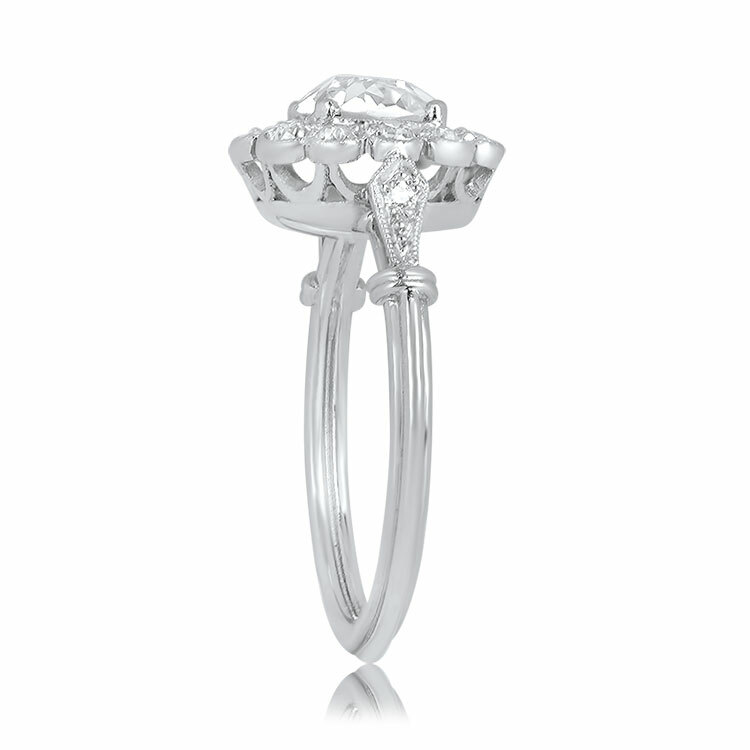 The ring is handcrafted in platinum. The center diamond was cut circa 1920. 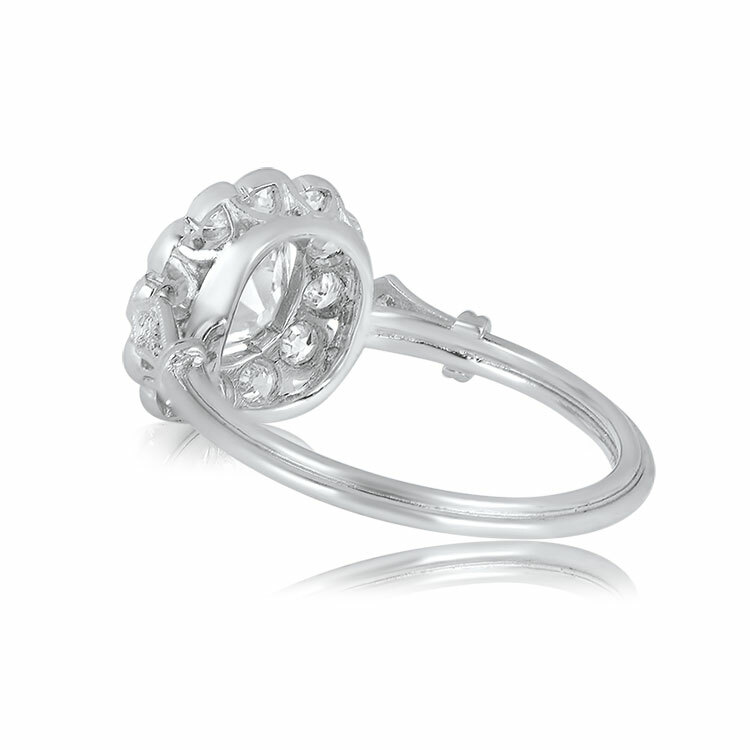 This ring is currently size 6.5 and can be resized at no extra cost. 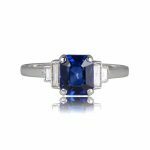 SKU: 11901 Categories: Cushion Cut Engagement Rings, Vintage Engagement Rings - Contact us and request additional pictures.